Basil Tom Collins, a gin-based basil infused cocktail. 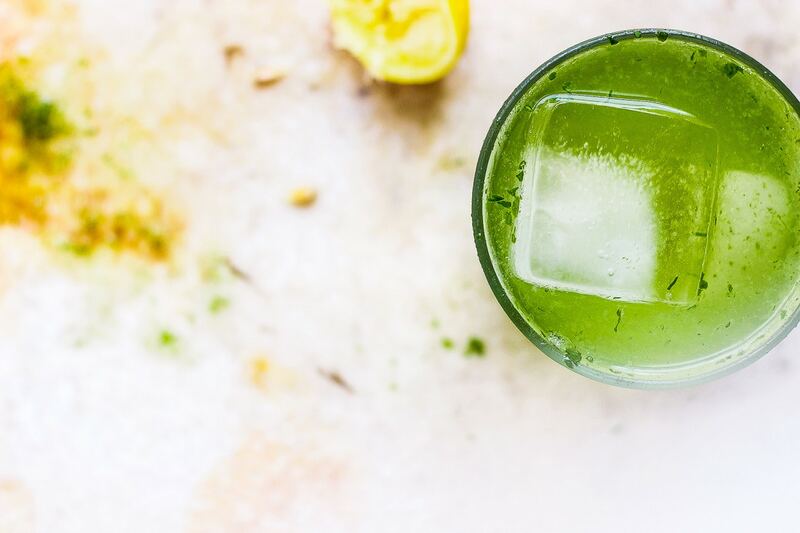 An herby, light and bright basil tom collins cocktail for the summer. Basil Tom Collins, an herbal infused gin-based cocktail. The best part about moving to the Midwest. And I’ve written about this before. Is the ability to have a house. And a patio table and chairs. And all of those adult things we never got to do or have while living in our city apartment. I so am fortunate and so happy that I have this outdoor space in my life right now. Last night we officially kicked-off our backyard barbecue season with some grilled veggie fajitas and some grilled garlic scapes. And some great guacamole and beer and some new and really wonderful Midwestern friends. And while though there are still some days where I feel totally displaced and lonely here in the Midwest – the connections and friendships we’ve made here in St. Louis in such a short time are real and meaningful. And have proven to be vital to our success and happiness. There’s something about the genuinity of Midwestern people that is refreshing. So, if you’re a St. Louisan and you’ve reached out to say hello – thank you so much. I really mean it. I means the world to me. I’m in the mood this season to roll out a bunch of summer cocktails. Mostly ones infused with ingredients from my garden. Like this gin-based basil Tom Collins. 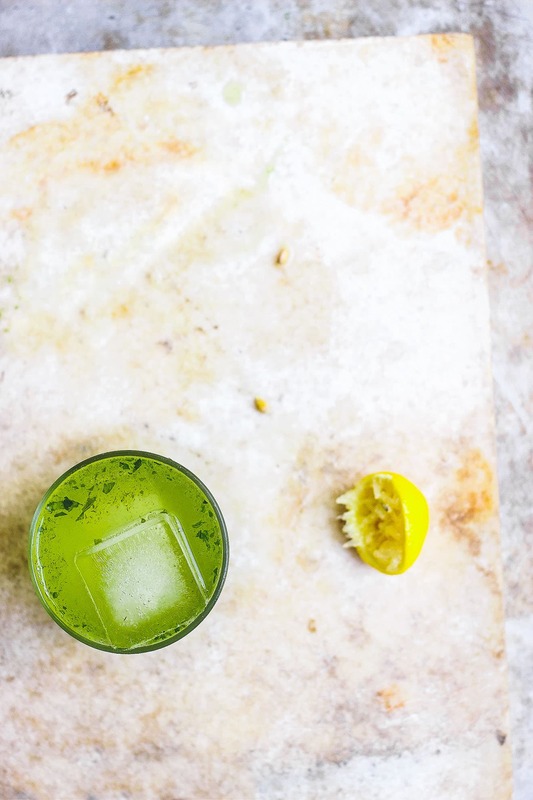 This herbaceous cocktail comes together with the simplest of ingredients. Just a little gin, club soda, lemon, basil, honey and pink salt. I’m going to keep the words light today because I’m headed out the door with my man for a little time away in Missouri wine country. But before I go, I’ve been meaning to tell you! I did a little interview over on Gabriel’s podcast, The Dinner Special. You can go make a basil Tom Collins, chill and give it a listen here. See notes for a vegan option. Store in an airtight container in the refrigerator for up to 5 days. Combine in a blender the basil leaves, water, honey and salt, and process until smooth. Strain through a fine mesh sieve and into a container, and discard the pulp. If you are vegan or want to avoid honey, you substitute 1 cup simple syrup in place of the water and honey, and blend and strain accordingly. 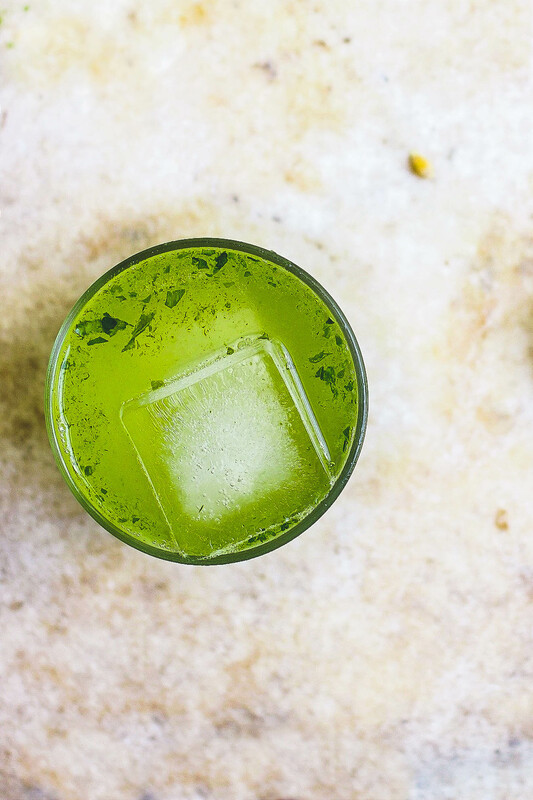 Combine the basil honey syrup, gin and lemon juice in a shaker with ice and shake. 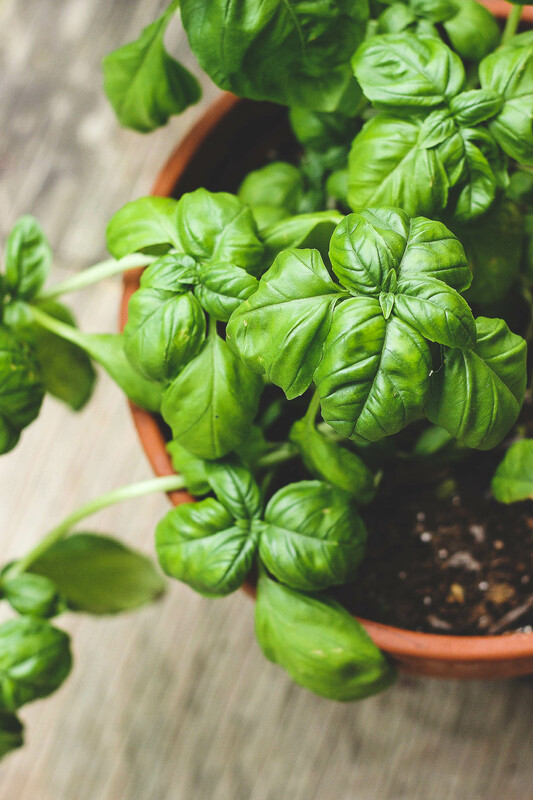 Fill a glass with ice and pour the basil gin combination over top. Then top it with club soda, and give it a gentle stir. 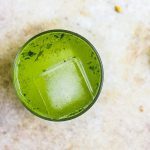 I love this cocktail – the basil sounds so refreshing! Basil in a cocktail sounds like such a fantastic idea for summer. Especially a gin cocktail! I love using basil in summer cocktails; it just seems so right and fresh at this time of year. 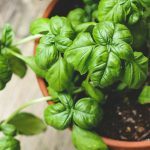 My basil (and mint) plant is growing at a crazy fast pace this year, so this is such a great way to use some of it! And from one St. Louis transplant to another – welcome! I hope the Midwest, more specifically St. Louis, really grows on you. It really is a great city. Thanks, Megan! So far, St. Louis is pretty okay. It’s a huge change for me, but I am really starting to appreciate its small and vibrant food community, xo! This looks so refreshing! And love all the photos. Hope you’re enjoying the wine country! 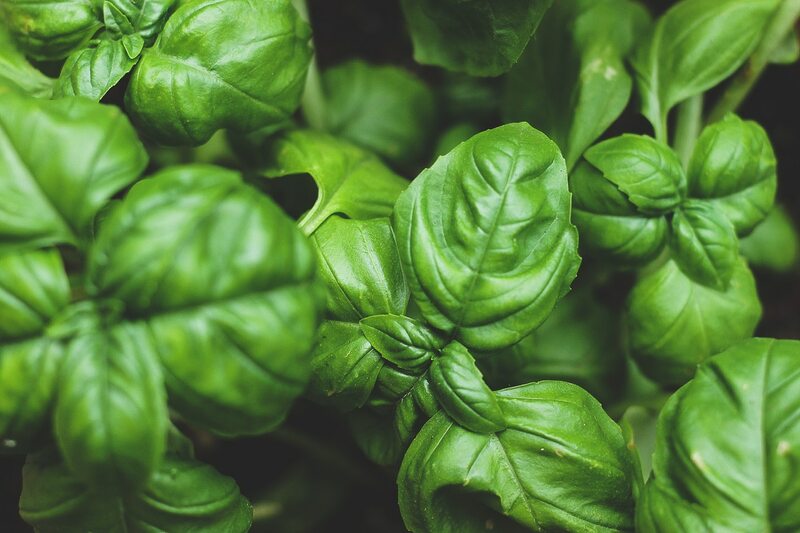 I woke up this morning, wandered into my kitchen, perused the scene, settled myself on a glassful of basil growing roots and flowers by water alone, and decided the best way to wake myself up would be to stick my face into its leaves and breathe deep. Therefore I’m also concluding that I should now use this basil to make myself this Basil Tom Collins asap. These photos are gorgeous. Plus, I need to drink this! I like the idea of basil being infused into this cocktail. It makes for such a unique and interesting drink! Great idea!